The Art Gallery, Amdavad ni Gufa, KL Campus, Opp. Gujarat University, Navrangpura, Ahmedabad. 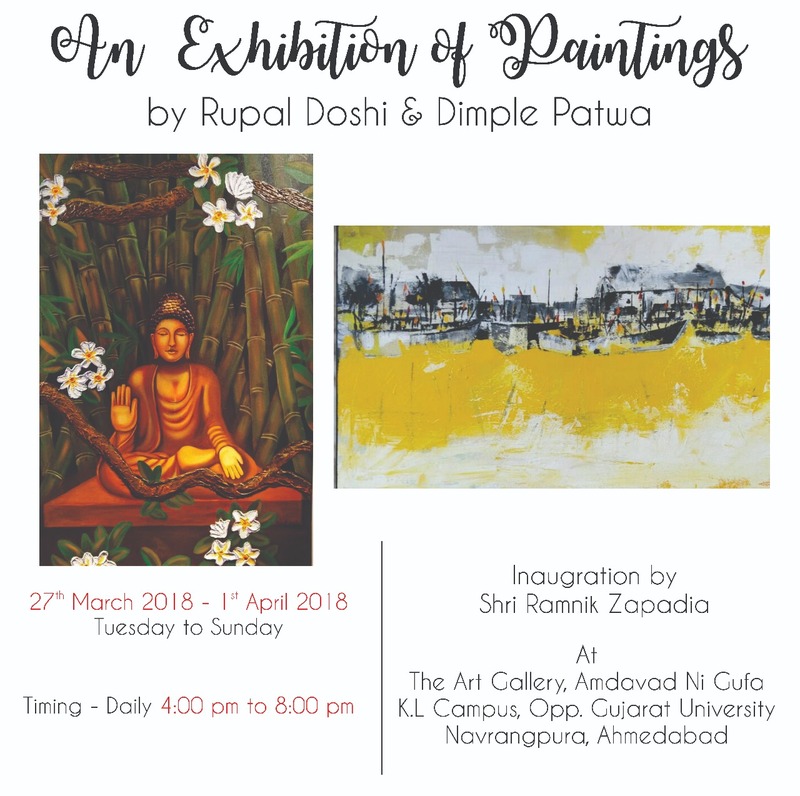 An Exhibition of Paintings by Rupal Doshi & Dimple Patwa at Amdavad ni Gufa, Ahmedabad.